Who would have imagined that a barber’s son, with little to no access to music in his childhood and whose father detested his indulgences in music, would become the greatest voice ever heard in Bollywood? Rafi Saab did this and more, just by listening to a fakir who used to sing sufi songs for the pleasure of villagers in his village in exchange of some eatables and money. At that point of time, Rafi Saab, then lovingly called Pheeku learnt the perfect sync of his songs and sang them to his family. His father would object and look down upon him but his uncle heard the divine, singing through his voice and convinced his brother to let Rafi Saan take up music. Who can forget the lyrical brilliance and sonorous resounding that his voice used to put into lifeless songs. To talk of songs that themselves shown of brilliance is another matter and Bollywood history shines with the mere mention of their mukhdas. That khoya khoya chand which Rafi Saab was searching still eludes many lovers during their most longing nights as they pray to forever keep their counterparts in their dil ke jharoke. Rafi saab’s greatest songs range from the gloomy and doelful “Din dhal jaaye” to the vibrant and soulful “Dil ka bhanwar kare pukaar” to the romantic “Abhi naa jao chhodkar” to the powerful ” ye duniya agar mi bhi jaaye to kay hai”, all the way to “Likhe Jo Khat Tujhe”, “Parda Hai Parda”, “Baharon Phool Barsao” and “Mere mehboob”. 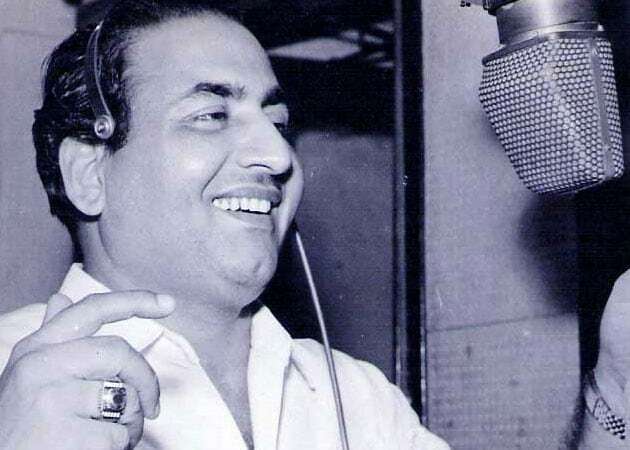 Rafi Saab’s greatest song remains- “Kya Hua Tera Wada” from the film “Hum Kisise Kum Naheen” which won him the National Film award for best singer.